Activated Carbon Blend Exec Blend: Our Exec carbon is our general-purpose blend, ideal for trapping a wide range of airborne chemicals, gases and odors. Filter DepthA unit’s filter depth is key to its adsorption capacity. Virus, Mold & Bacteria ProtectionCustomize your air purifier with a UV light to provide additional protection from viruses, mold and bacteria. HVAC - Air Handler - Bypass SystemAdapt your air purifier to duct into your central air heating and cooling systems, to provide an ideal filtration system for your whole home. Our HVAC - Air Handler - Bypass System units are identified with an “AH”. Contact us for help with your product selection - order online for your convenience. Activated carbon / activated charcoal is widely recognized as the safest, most effective way to treat odors and chemicals, while HEPA (High Efficiency Particle Air) filters are the gold standard for removing particles. 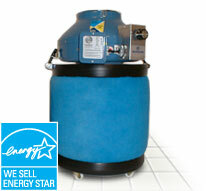 Together they provide the most complete and versatile air cleaning system available. Both tried and proven filtration medias. 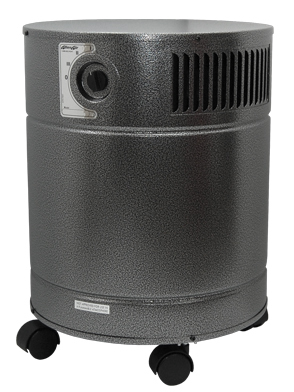 Featuring up to 27 pounds of activated carbon for effective chemical, gas and odor adsorption, plus a HEPA filtration system to remove particles that trigger allergies and asthma. These air cleaners provide the perfect protection for average-size rooms (max 1,500 square feet), and come in a wide array of colors to match any décor.